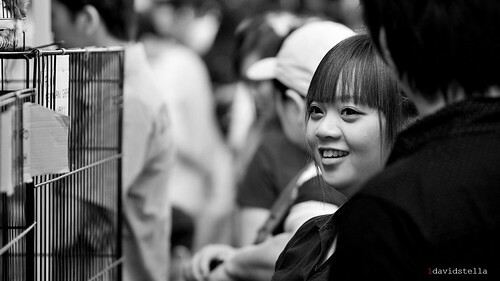 May | 2010 | Kota Kinabalu, People and Places, Street Photography. The Aviary, Lok Kawi Wildlife Park. 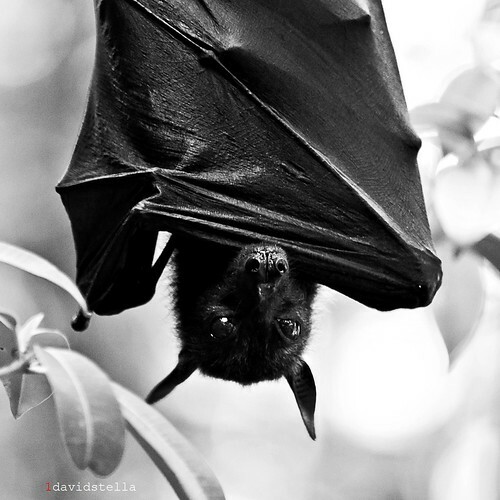 The Pteropus (Flying Fox) at the aviary, Lok Kawi Wildlife Park. This is an excellent facility to observe birds in a natural forest environment, particularly the three or four species of hornbill. Some small deers can also been seen. Early morning at the Sunday market, Gaya Street, Kota Kinabalu... and a pet stall is where you will find some of the happiest faces on the street. 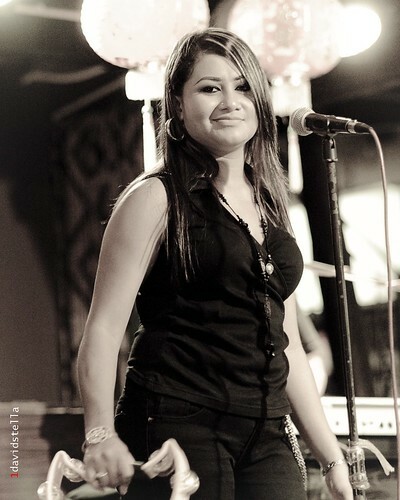 with or without you IV.. title of a song.. Sherry in a gig at BB Cafe, Kota Kinabalu. 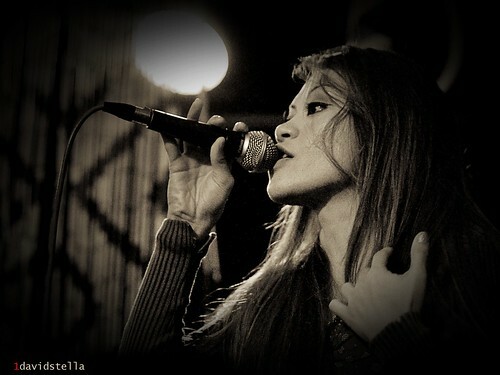 with or without you II.. title of a song.. Natasha in a gig at BB Cafe, Kota Kinabalu. 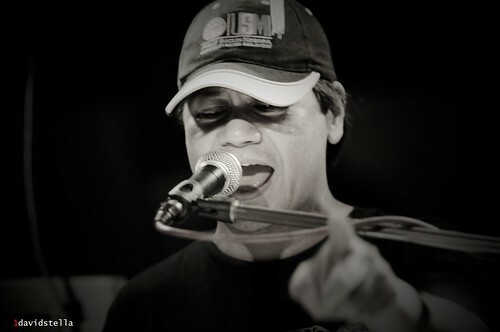 with or without you... title of a song.. Rudy in a gig at BB Cafe, Kota Kinabalu. 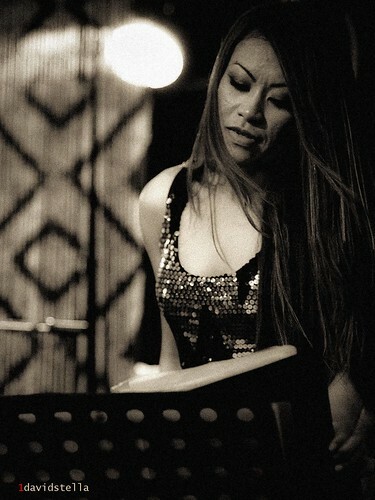 with or without you III.. title of a song.. Natasha in a gig at BB Cafe, Kota Kinabalu. This is my boss... at the waterfront night market, Kota Kinabalu. Friendly and hospitable people, and atmosphere.. permission to take photographs is seldom refused. A great place to shop for local produce too. 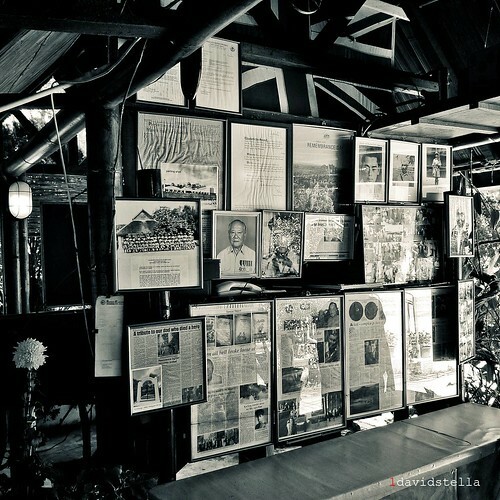 Display of newspaper clippings and photographs at the Kundasang War Memorial, located in Kundasang village at the foot of Mt Kinabalu. The Memorial consists of three gardens; Australian, English and Borneon. 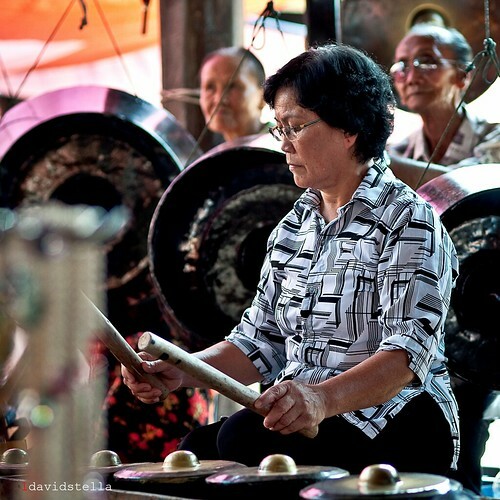 Volunteers bring an ethnic atmosphere to tamu Donggongon. 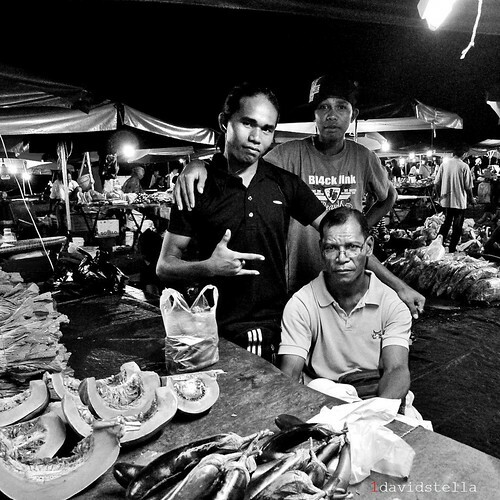 Travellers at the Sunday market, Gaya Street, Kota Kinabalu. There are many backpackers' lodges here and along the nearby streets.